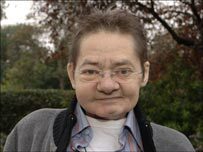 I’d forgotten this brief obsession until, while watching the Academy Awards the other night, saw Jack Wild’s name and face in the montage of the people who’d died during the year. That I’d not heard about it shouldn’t have been surprising, but it was. And sad. After all, since I’d not seen him in anything since Oliver! (and maybe H.R. Pufnstuff), I expected him to still be the cute freckle-faced adolescent I had a minor crush on after David Henesy from Dark Shadows and before I’d discovered real guys were more fun than imaginary ones. 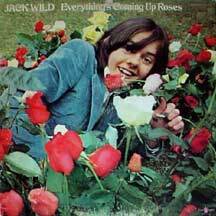 I don’t remember where or when I bought his album, Everything’s Coming up Roses, but I remember playing it a lot. I’d sing along with Jack, to the point of saying “woses” instead of “roses”. I wasn’t making fun of his missing R as much as delighting in that small idiosyncrasy of his. I’ve kept this album, although when I transferred many of my vinyl albums to cd & mp3 format, I purposely set this one aside. I didn’t think I’d want to waste computer space, a cd or my time digitzing it. Not until now, a day about halfway between the academy awards ceremony and the first anniversary of his death. He didn’t seem to do much in the way of entertainment between H. R. Pufnstuff, his few albums and his death. He was a heavy smoker and a heavy drinker and it is fairly certain that combination caused his eventual tongue and throat cancer. He had his larynx and tongue removed in 2002. This all certainly makes me reconsider having a second glass of wine with dinner these days. Sorry for bringing our music discussion down a notch or three. I never said I had good taste in music. Pufnstuff! I remember watching that show on an army base in Northern BC. Ah, Witchiepoo.How sad to learn he died.